Thick ice and cold weather are preventing an early snow crab fishing season that would help reduce potential ship strips and whale entanglements in the Gulf of St. Lawrence. Thick ice and cold weather conditions are preventing an early snow crab fishing season that would help reduce potential ship strikes and whale entanglements in the Gulf of St. Lawrence. 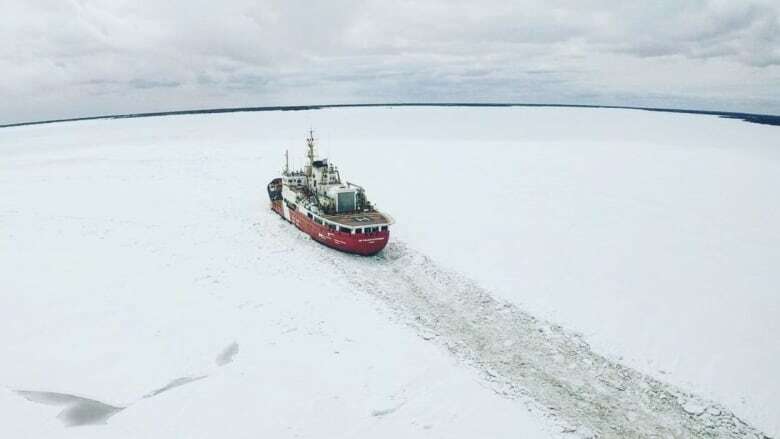 The Coast Guard's Sir William Alexander, a light icebreaker, was called to smash through packs of ice off the northeast coast of New Brunswick to help the critically endangered North Atlantic right whales that are expected to make their way to Canadian waters later this spring. "The ice conditions are severe," said Douglas Roe, commander of the icebreaker. "They are 30 centimetres and even sometimes 60 centimetres thick." 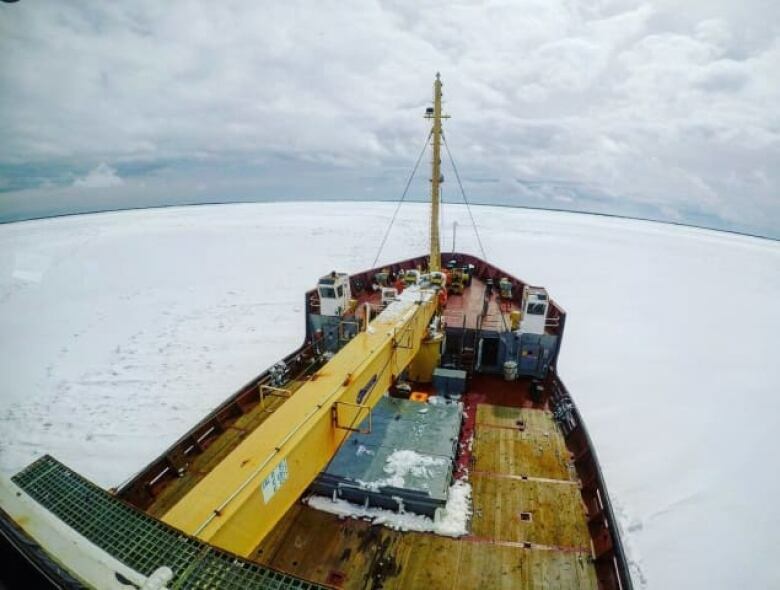 In just under two weeks the icebreaker crossed Shippagan Bay and the Gulf of St. Lawrence — twice, as the ice returned to these areas. There are 29 sailors working on the coast guard ship throughout the day to break the ice. The goal is to allow local snow crab fishermen to complete their season in the Gulf of St. Lawrence earlier than usual, which should reduce the number of ship strikes and entanglements with fishing gear that killed so many whales last year. But the cold weather closes the shattered pieces of ice and strong winds bring it back into the area. But Roe said the Department of Fisheries and Oceans wants to do everything it can to protect the right whales. "We take this mission here absolutely 100 per cent seriously and we want to do our best [so] that we can accomplish the goal of the department," he said. "Unfortunately, Mother Nature is not helping us right now." 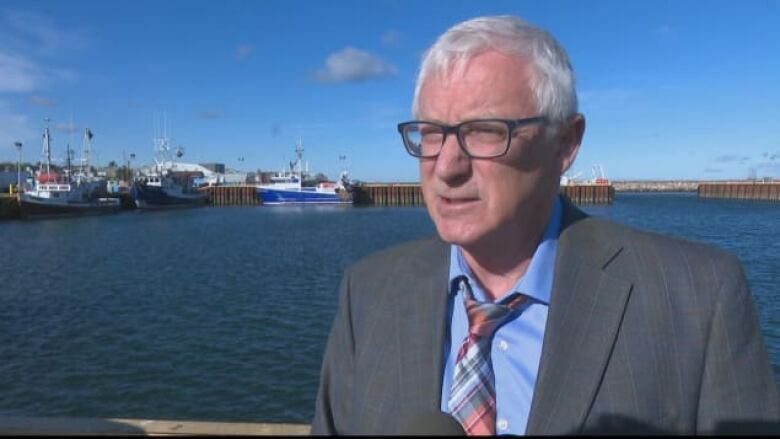 Given the abundance and thickness of the ice in the Gulf of St. Lawrence, Jean Lanteigne, executive director of the Fédération régionale Acadienne des pêcheurs professionnels, said it will be very surprising if the snow crab fishery starts as early as the middle of April, as requested by the Department of Fisheries and Oceans Canada. He said it typically takes between seven and 10 days to prepare and launch the crabbers, a process that hasn't yet started because of the ice. "We will have to wait to have safe fishing," said Lanteigne in an interview with Radio-Canada. At least 18 North Atlantic right whales have been found dead in Canadian and U.S. waters since early last year. Lanteigne said the department should review its plans to protect right whales, particularly its intention to close a fishing zone in the southern gulf as of April 28, when most right whales were observed in 2017. If the fishermen cannot go to sea because of the ice, it would be surprising that whales can go early for the same reasons, he said. "The people at Fisheries and Oceans will have to work with us to come up with a game plan that is much more achievable."